Thinking Pinoy: Duterte’s SONA marks start of Rappler’s end? I think this wasn’t part of the SONA script so President Duterte said this in his trademark Binisayang Tagalog, which can be cryptic to many in Luzon, so let me restate what he said. Media companies are supposed to be 100% Filipino owned. Some media companies find clandestine ways to get around this restriction. Rappler, when examined, is owned by Americans. I think it’s best to start from Square One. Rappler Inc GIS 2016 - . AFS means Audited Financial Statements while GIS refer to General Information Sheets. I would also like to acknowledge Ambassador Rigoberto "Bobi" Tiglao. His Manila Times articles have helped a lot in teaching more about what I'm about to write. Moreover, I apologize for the typographical errors in this article. I do not have the time to check for grammar and punctuation because I have a radio guesting and a wedding to attend to today. Seriously. Rappler’s ownership structure remained pretty much the same for the next two years, save for a short blip in October 2012, when a certain “Cappadocia Inc.” appeared to own 29% (taken from Maria Ressa’s stake), only for it disappear in its list of stockholders a year later. Buyer’s remorse? I don't know. Your guess is as good as mine. In July 2014, Bitanga raised his stake at the company from 20 to 31%, and another investor, a certain Benjamin So, gained a 3% stake in the media outfit. Then came a reorganization in 2015, when Rappler drastically diluted its shares to allow its newly-formed parent company Rappler Holdings to gain a 99% stake in the media company, basically adding a corporate layer, with Rappler’s ownership structure basically mimicking that of Rappler Holdings via the Grandfather Rule. The Grandfather Rule determines the actual Filipino ownership and control in a corporation by tracing both the direct and indirect shareholdings in the corporation [PWC]. That is, whoever owns Rappler Holdings owns Rappler Inc.
DMT Ice Angels, who owned a state before 2015, initially piqued interest because its owners are unknown, with Maria Ressa once saying that it belongs to private couple who wish to remain anonymous. Some camps speculated that it’s ABS-CBN, but judging from Manny Ayala’s presence in Rappler’s board since 2011, and Hatchd’s entry after DMT Ice Angels’ exit, then DMT should have been Manny Ayala’s. A regular person would surely ask why Rappler would bother complicating its life by creating a holding firm – a corporate layer – when Rappler Holding’s only significant (and known) subsidiary is Rappler itself, based on Rappler Holdings' consolidated Annual Financial Statements (link to 2015 CAFS at beginning of article). 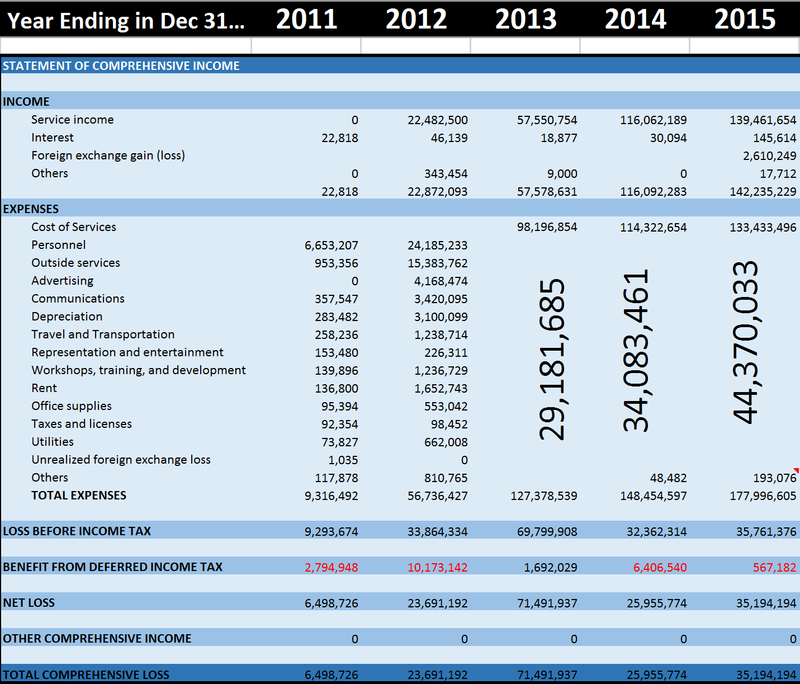 Well, a look at Rappler Inc’s annual Audited Financial Statements provide a clue. Let's start with their yearly Statements of Comprehensive income. If you can't see the table clearly, here's a clearer copy. Rappler incurred P9 million in losses in 2011 and P23 million in 2012. I would say that that’s acceptable because Rappler was just starting at the time. 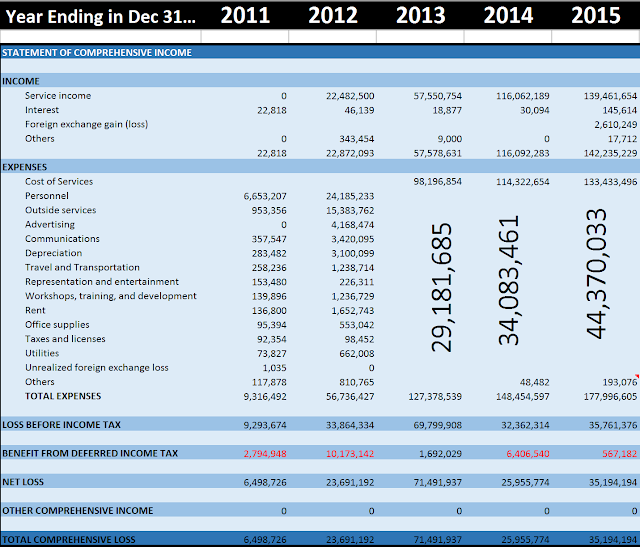 In reality, I would even understand if Rappler repeated its 2012 financial performance in 2013. But what happened was much, much worse: Rappler posted P71 million in losses in 2013. Yes, it appears that Rappler is financially hemorrhaging: not just bleeding, but haemophiliac-level hemorrhaging. I think it’d be unfair to judge Rappler’s financial performance solely on that. After all, Rappler appears to have scaled up its operations in 2013 when it posted twice as much income as 2012 (P58 M vs P23 M) against around twice as much expenses (P127 M vs P57 M). You see, Rappler could have benefited from economies of scale. That is, Rappler could have reduced costs by increasing production levels. In fairness to Rappler, its Operating Expense to Revenue (OER) Ratio (lower is better) improved from around 2.4 in 2012 to around 2.2 in 2013. That is, Rappler spent 2.4 pesos for every peso it earned in 2012, and the situation improved to 2.2 pesos for every peso in 2013.Yes, Rappler is still losing a lot of money, but it can be said that the rate of loss has, whether significantly or insignificantly, gone down. Of course, like any other company, Rappler will lose money (OER > 1) before it becomes profitable (OER < 1). And by 2013, or barely two years into existence, Rappler appears to be on its way to becoming profitable. However, the question stands: will it reach profitability before it goes bankrupt? I think the answer is in 2014. Rappler registered P116 M in revenues against P148 M expenses in 2014, suggesting an OER of 1.27, a drastic improvement from its OER of 2.2 the previous year. Yes, it appears that Rappler just needs a little more time and it’s going to be profitable at last. Somebody injected money into Rappler and made it appear as income. Regardless… Konti na lang, keri na si Rappler! But then again, does Rappler have time? Rappler had P8 million in liquid assets by the end of 2014, and this was made possible by a P24 million cash loan from someone among Rappler’s ranks. In short, it appears that one of Rappler’s owners extended a critical financial lifeline to Rappler, without which Rappler would’ve already been dead by mid-2014. However, with only P8-million in cash in December 2014 and P24 million in debt that can be collected anytime, Rappler needs to get additional capital before it goes bust. He said that Rappler can protect some of its earnings by transferring them to Rappler Holdings, which will shield those transferred earnings from bankruptcy proceedings. But then again, Rappler is just three years old at this time. It’s still a startup, so owners can argue that it just needs a bit more capital and it’ll be fine real soon. I do not really know why Rappler had to resort to foreign money, but it did. But foreign ownership of media companies is illegal, so how did Rappler manage to do it? Rappler circumvented foreign ownership restrictions by issuing at least US$ 4 million in Philippine Depository Receipts (PDRs) [SycipLaw], all or part of which were sold to American firm Omidyar Network and Malaysia-based NorthBase Media. Proponents of PDR financial instruments argue that PDRs technically remove the concept of ownership in a person’s investments while allowing that person to benefit from the shares. That is, the PDR owner is technically not an owner of the shares (avoiding the issue of ownership restrictions), but just like an owner of the shares, benefits from dividends issued by the company. First, Joe (a foreigner) wants to invest in Juan (a Filipino Mass Media company), but is unable to do so directly due to foreign ownership restrictions. Second, Joe gives money to Pedro (another Filipino company), then Pedro uses it to invest in Juan. Juan then becomes a shareholder (”owner”) in Pedro. Third, given this, Joe appears to own part of Pedro through the legal concept called “Grandfather Rule”. Through the Grandfather Rule, if Joe owns half of Pedro and Pedro owns half of Juan, then Joe owns half of half (one-fourth) of Juan, but Joe owning any part of Juan is illegal right? Fourth, the “Grandfather Rule” makes it near-impossible for foreigners to own any stake in local mass media companies. But PDRs are allow Joe to evade that restriction. Pedro buys 50 shares from Juan, then Pedro repackages by creating 5 special documents with each stating something like “This document represents 10 shares in Juan.” Joe then buys those 5 documents, effectively granting Joe ownership over Pedro’s 50 shares in Juan. That is, Pedro appears to be the owner 50 Juan stocks despite the fact that Joe is really the one who owns it. In short, Pedro serves as Joe’s dummy investor for the latter’s investment in Juan. That is, Rappler Holdings is the foreigners’ dummy investor for their investment in Rappler Inc.
And this is how Rappler was able to allow foreign capital to enter its bank accounts. What made Omidyar nod in 2015? American investment fund Omidyar Network announced in November 2015 that it would invest in Rappler [TiA], presumably after talks that happened between Omidyar and Rappler earlier in that year. I think that Rappler had the stuff to impress Omidyar at that time. Rappler’s core team members have impressive resumes. Rappler’s bread-and-butter, its website, showed signs of continuous massive growth in web traffic. Rappler has shown marked improvement in profitability, as shown by its drastically improved expense-to-income ratio (OER). Yes, Rappler showed major promise when it knocked on Omidyar’s doors, and I can only assume that it showed the same data to Northbase Media. Rappler demonstrated amazing web traffic growth from birth to year 2015. Omidyar et. Al. injected massive cash into Rappler in 2015, presumably with the expectation that Rappler, despite still being unprofitable, is well on its way to profitability. After all, by the looks of it, all Rappler needs is additional capital and it’s gonna be okay soon. But after the deal, Rappler showed signs of plateauing growth, or something even worse. Rappler indeed registered an increase in profitability with an OER of about 1.27 during the 2015 talks with Omidyar as oppose to over 2 in the previous year. By the end of 2015, however, Rappler registered around P178-million in expenses against P142-million in revenues, suggesting an OER of around 1.25. A mere 0.02 improvement from the previous year is negligible, and it painfully pales in comparison to the OER improvement in the previous period. Worse, 1.25 is still along way to go, as Rappler needs to reach an OER of less than 1 before it gets out of the red. Of course, a 0.02 per year decrease won’t cut it. With a 2015 OER of 1.25, it'd take Rappler 13 years of growth before it makes money, and I guess nobody has the patience to wait that long. Rappler argues that it earns from more than just its website, with its “ReachSocial” providing two major services: big data analytics and social media consultancies. 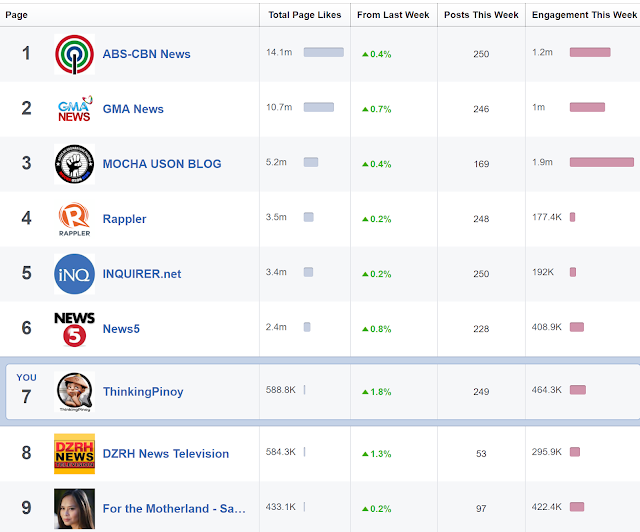 However, ReachSocial’s big data analytics suggest that Rappler has a sufficiently big data source, i.e. Rappler’s website traffic. 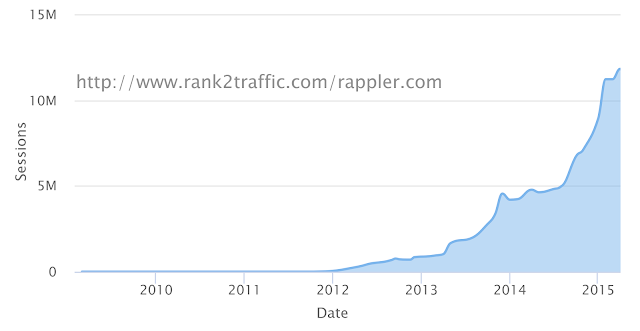 Unfortunately, Rappler’s site traffic stopped growing and started sliding in mid-2015. It recovered and beat the mid-2015 peak during the 2016 election season, but the site’s traffic continued its decline to pre-2015 levels soon after. Rappler’s Big Data Analytics services will earn only if it has a unique and proprietary big data pool to play with, and a site with shrinking traffic won’t provide that. After all, if Rappler provided nothing but generic big data services, then a client is better off consulting a company with a longer and more proven history of competence on the matter. While it can be argued that Rappler still remains to be the third most visited mass media website in the country, the rising dominance of social media-based news, along with the proliferation of independent news site in the local market, suggests that mainstream news sites now have a smaller pie to share amongst themselves. Add Rappler’s dwindling traffic and things will look even worse. With that said, I do not see how one would consult with someone who lags behind in social media. If Rappler knows social media, it would have demonstrated much better Facebook Insights figures. Rappler’s losing fight on social media is best evidenced by how its CEO Maria Ressa incessantly complains about the unfairness of Facebook Algorithms, as she blames her competitors, sans definitive evidence, for gaming Facebook’s news feed algorithms to gain an edge over hers. Rappler has P96-million cash at the end of 2015, and it posts an average comprehensive losses of P30-million pesos in the years 2014 and 2015. Rappler, after showing no significant improvement in OER in the past year, may go bankrupt in as early as 2018. And here’s where the foreign ownership issue comes into play. Ressa’s rants about how social media works started right after she met with Omidyar executives in Spain in October 2016, suggesting that something must have transpired during that meeting, something that made Ressa, reportedly an affirmation addict, anxious enough to go on a multi-article rant about how the world does not work in her favor. October 2016 is a year after Omidyar first announced that it would invest in Rappler. I can only speculate about what it exactly is, but what’s clear to me is that Omidyar classifies Rappler as a for-profit investment, i.e. Omidyar expects Rappler to make money. The preceding sections, however, strongly suggest that Rappler won’t do that anytime soon. Yes, it appears that Omidyar may be pressuring Rappler to “improve” in a manner that Omidyar sees fit. Now, Ressa may still argue that Omidyar doesn’t “own” Rappler, but I refuse to believe that the framers of the 1987 Constitution wanted foreigners to influence local mass media in any way. Framers wanted 100% Filipino ownership of mass media firms exactly because they want to minimize direct foreign influence local on mass media operations and, by extension, on Filipino public opinion. Rappler can argue all day about it being 100% Filipino-owned, but who are we kidding here? Truth be told, I doubt that any foreign investor who is aware of Rappler’s post-2014 financials would risk betting on Rappler today. But let’s go back to Omidyar. It’s bad enough that Omidyar has reportedly conspired with the US government to topple a Ukrainian government, but Omidyar’s continued financial presence in Rappler can do more than just drive Ressa mad. Remember, Rappler is not showing signs of reaching profitability anytime soon, so it shall continue to rely on capital infusions to stay alive. Rappler is already on its sixth year, and it's gonna be harder and harder for Ressa to call Rappler a "startup", which would have justified the massive losses Rappler continously incurs. If Omidyar finally throws in the towel and divests in Rappler (or writes off their failed investment as losses), Rappler’s PDRs will be as valuable as junk. That is, Rappler can finally say goodbye to any hope of raising any new capital from foreigners. Rappler has shown a clear bias versus the Duterte Administration, and the Duterte Government has shown a clear dislike of Rappler, as accentuated by Duterte’s 2017 SONA. In light of local businessmen’s aversion to going against the sitting government, I am confident that businessmen can find investments that pose less political and financial risks. Now, Rappler can try to weather the financial storm, but the Duterte Government still has five more years to go. I believe Maria will do everything -- and I mean everything -- to keep Rappler alive. After all, it's her baby. I think she's already doing a few things right now. As to what those "few things" are, I'd rather not say.